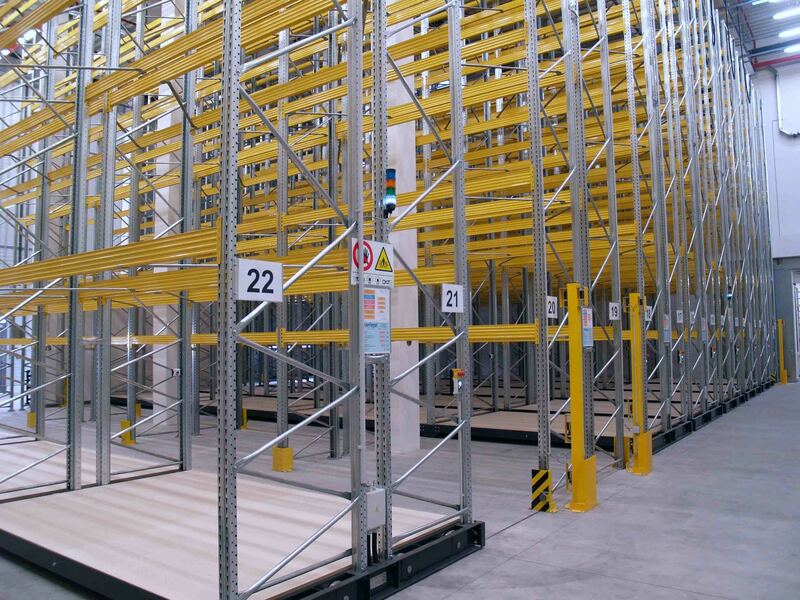 Double your existing storage capacity! 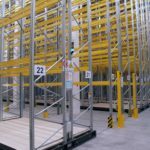 Existing warehouse with static pallet racking. 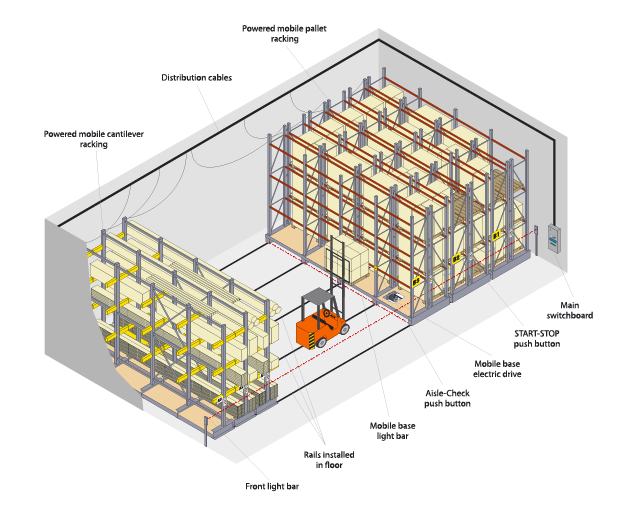 Warehouse with powered mobile pallet racking. 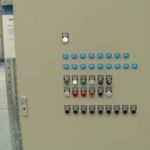 The main switchboard together with the control panel is installed in close proximity to the operation area of the equipment. The main controls, indicators, and diagnostic elements are located on the control panel. 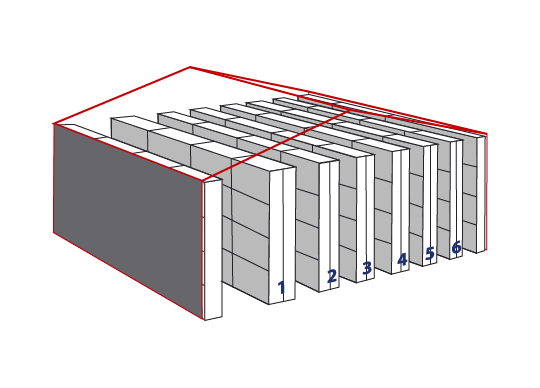 The controls to start and stop motion are located on the particular mobile rack. 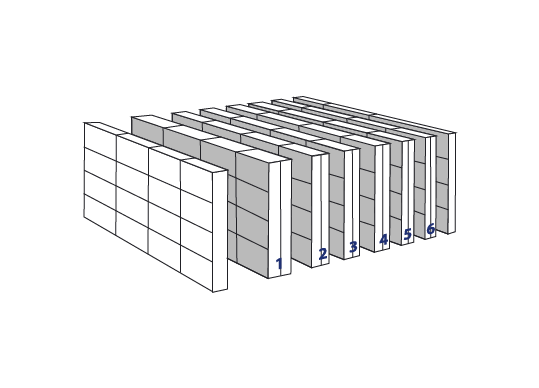 This enables putting the system into motion remotely. 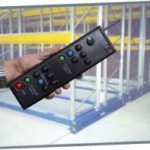 The remote control and terminal inside the forklift allow communication and control of the system. 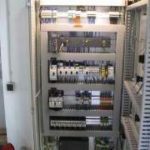 The modular assembly of the Simatic system and matching circuits are installed inside the main switchboard. The drive unit is formed by a three-phase motor with a closed gear box. 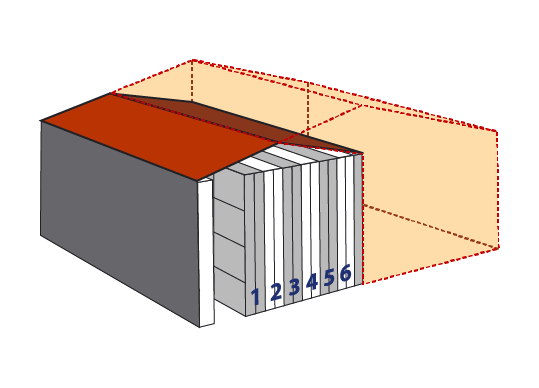 Drive power output and number of drive units are chosen according to the total charge on the mobile base. 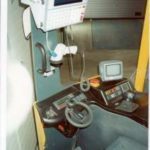 All the electric drive units are coupled to the driving shaft of the mobile base. The driving shaft is coupled with the driving wheels via flange coupling. These are two-wheel or four-wheel, equipped with plain or guide wheels. Racking superstructure frames are attached to the carriages. These are mounted on the wheeled carriages. 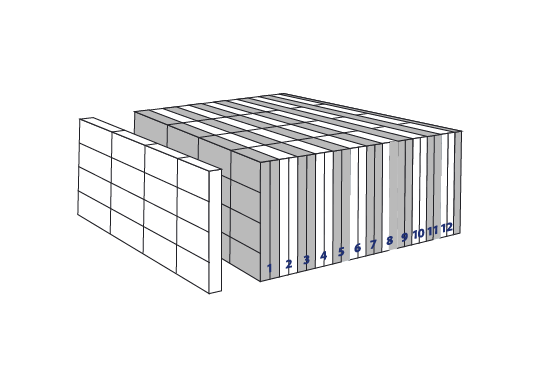 These are used for interconnection of the main switchboard and particular mobile bases. 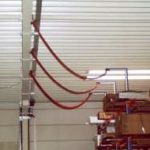 The flexible cables are distributed to mobile bases from the cable channels installed on the building construction, from the channels in the floor or from the supporting cable channels. When the equipment is put into motion, the safety light bars system is activated. 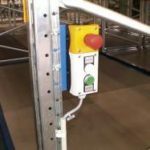 The safety light bars are installed on each mobile rack as well as as the outer sides of the block or racks at the entrances to the hazardous area.